Skype is software that enables you to make free calls anywhere in the world. 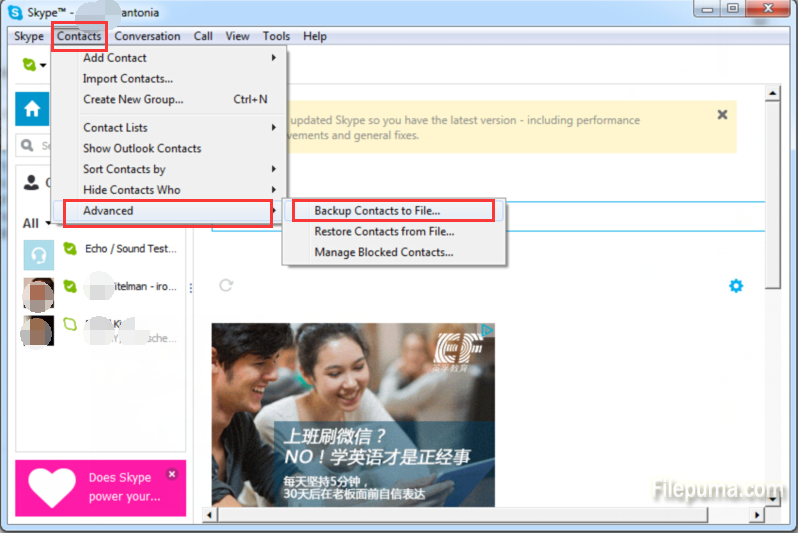 Skype could automatically save your contacts and contact groups to its servers. However, you can’t be too careful. So you can keep a backup of your contacts and contact groups in case. Here is an instruction to tell you how to create a backup file to store on your hard drive, and use it to restore your contacts on a later date. 1. Run Skype and log in to your account. 3. 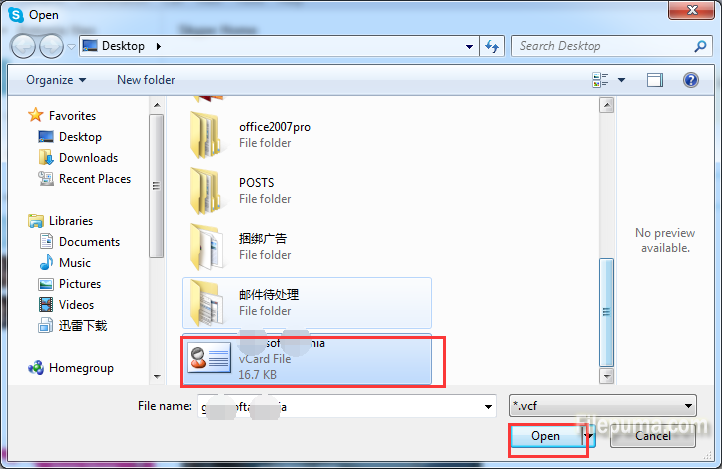 Type the name of the backup file in the “Filename” field and save it to the location of your choosing. How to restoring contacts backup? 1. Open Skype and log in to your account. 3. 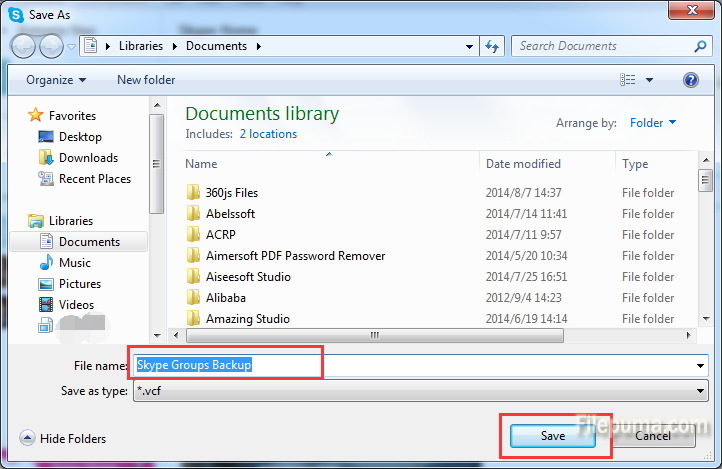 Select the backup file you made and click “Open.” Your contacts and groups are restored.